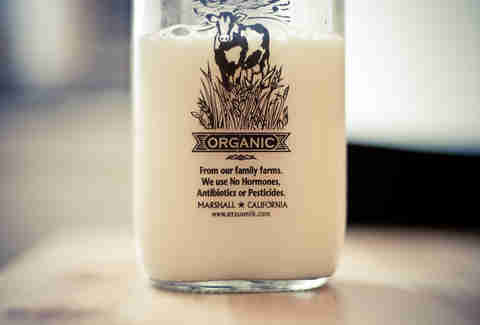 Organic Milk Lasts So Much Longer Than Regular Milk. Why Is That? Milk, for most adults, is more of a condiment than a main attraction: half-and-half in coffee, whole milk over cereal, and so on. Since you’re not guzzling glasses of milk like you did when you were 6, keeping it fresher for longer is in your best interest. 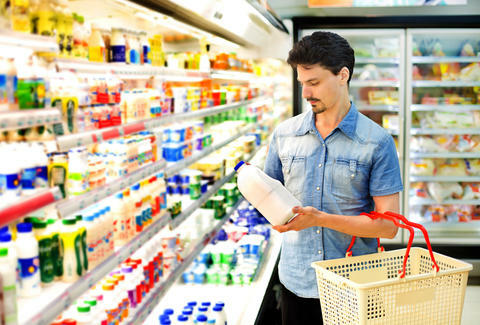 If you’ve noticed a discrepancy between the shelf life of organic milk and regular milk, you’re not alone. But why is that the case, given that they’re both milk, after all? We scoured the dairy world and found the experts who could give us an answer. What makes organic so special, anyway? Unless you’re a regular at Whole Foods, Trader Joe’s or some other overpriced grocery store, you might not know much about organic food -- and that’s okay. According to Ed Maltby, Executive Director of the Northeast Organic Dairy Producers Alliance, the word “organic” means that a third party has certified that a product (like milk) was made without genetically modified organisms (GMOs), antibiotics, growth hormones, pesticides and herbicides that can affect the environment and the soil animals eat from. “Organic milk is produced from cows that are required to graze, are forbidden from having any antibiotics or growth hormones, and that eat pasture and other feed that is GMO-free and not produced with harmful chemicals, herbicides and pesticides,” Maltby says. If you’re lost, we’ll break it down for you: organic milk has everything to do with what the cows producing the milk eat, not exactly the milk itself. OK. Debunked. That was easy. But those differences in expiration dates must come from somewhere. And that “somewhere” is in the pasteurization process. The pasteurization process is a heat treatment for milk that ensures you aren’t swallowing any diseases along with your cookies. It destroys disease-causing microorganisms, spoilage microorganisms, and enzymes that can damage you or the final product. 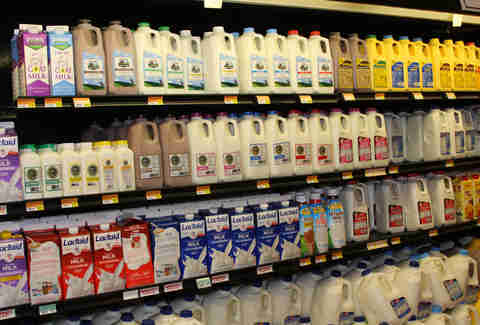 If organic milk is processed using ultra-high temperature (UHT) pasteurization methods -- which involves heating milk to 290 to 302 degrees fahrenheit for up to two seconds -- then it will be shelf-stable for much longer than it would via lower-temperature methods, like vat or high-temperature pasteurization, Hoolihan says. Regular milk can be ultra pasteurized, too. In fact, if both organic and regular milk are pasteurized in the same manner and held at the same temperature and time prior to purchase, they would last the same amount of time, according to Craig Baumrucker, Professor Emeritus of Animal Nutrition and Physiology at Penn State. 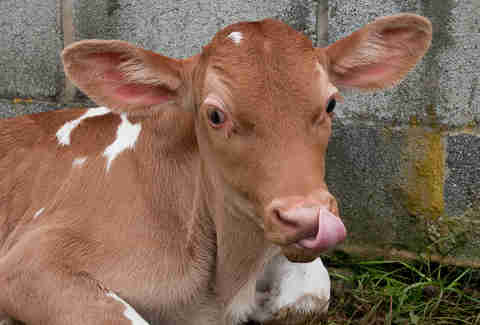 Yet, commercially, organic milk is more commonly given the UHT treatment. That’s because there’s a greater need to warehouse organic milk and truck it longer distances, Maltby says. So why don’t we ultra pasteurize all our milk? Let’s not turn up the heat during every pasteurization process just yet. UHT-treated milk doesn’t quite taste the same as regularly pasteurized milk, because it’s doesn’t have the same “fresh” quality. The bottom line is that organic milk doesn’t necessarily last longer. So whether you shop organic or go with conventional, if you’re a cash-strapped Millennial who can’t count on herself to finish a carton within a week, we recommend going for the latest expiration date possible -- that organic price tag may actually be worth it if it means you’ll waste less. Erin Kelly is a writer, marathoner, and triathlete living in New York City. She can regularly be found running the Williamsburg Bridge with The Rise NYC, or cycling laps of Central Park with the The Trihards, NYC's first free triathlon team. When she isn't running, biking, or swimming, Erin enjoys writing and blogging, window shopping at dog parks, and drinking lots of coffee.